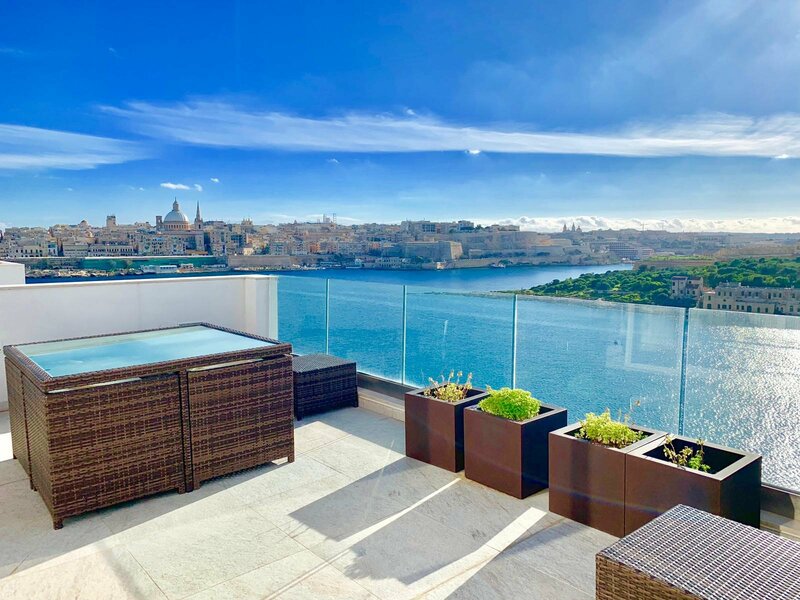 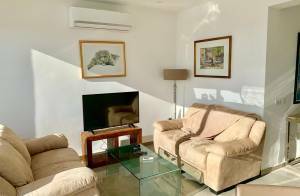 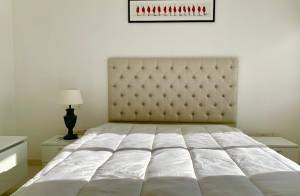 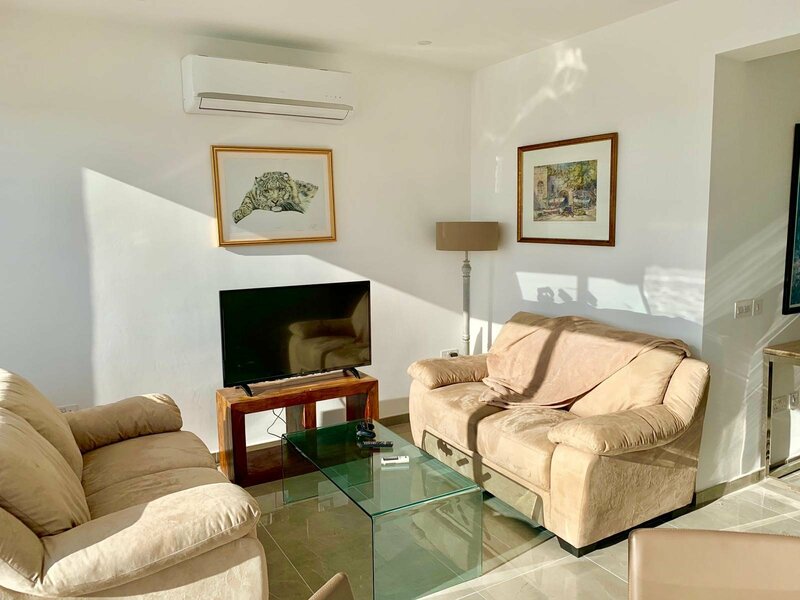 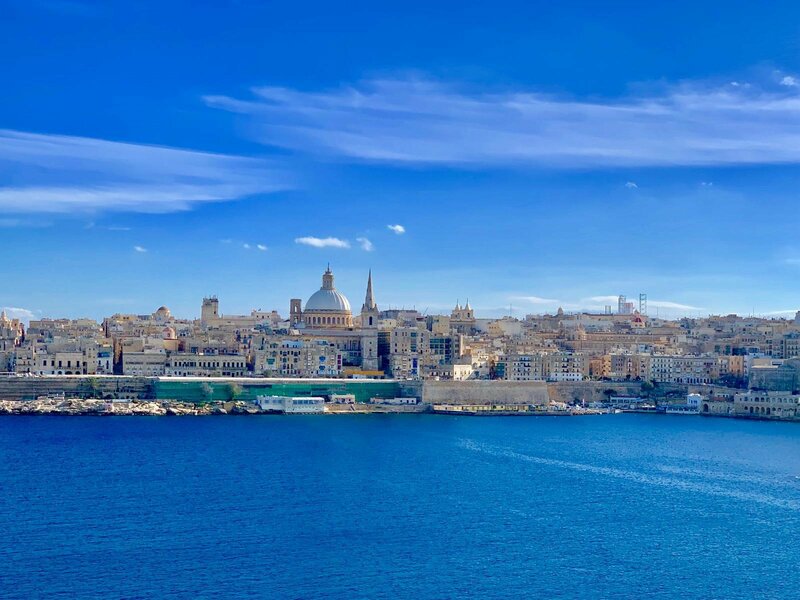 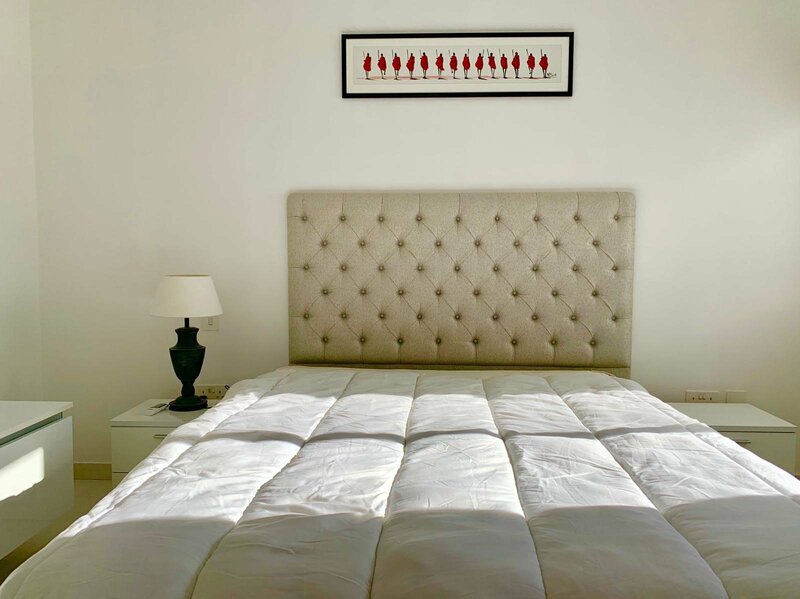 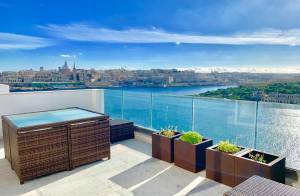 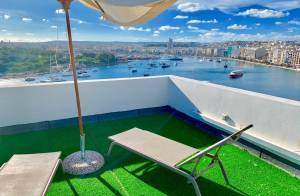 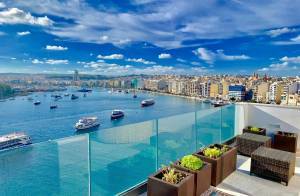 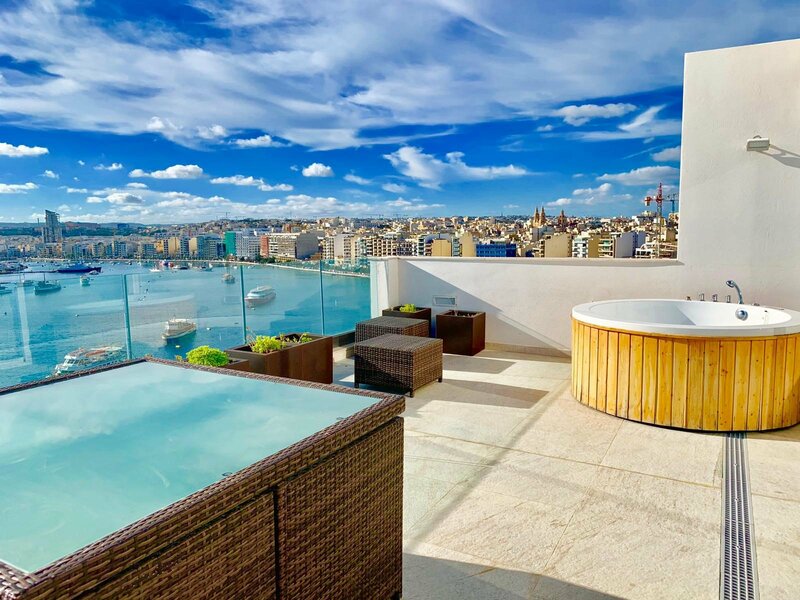 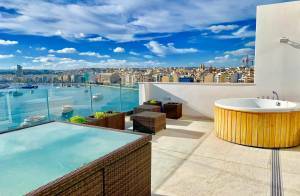 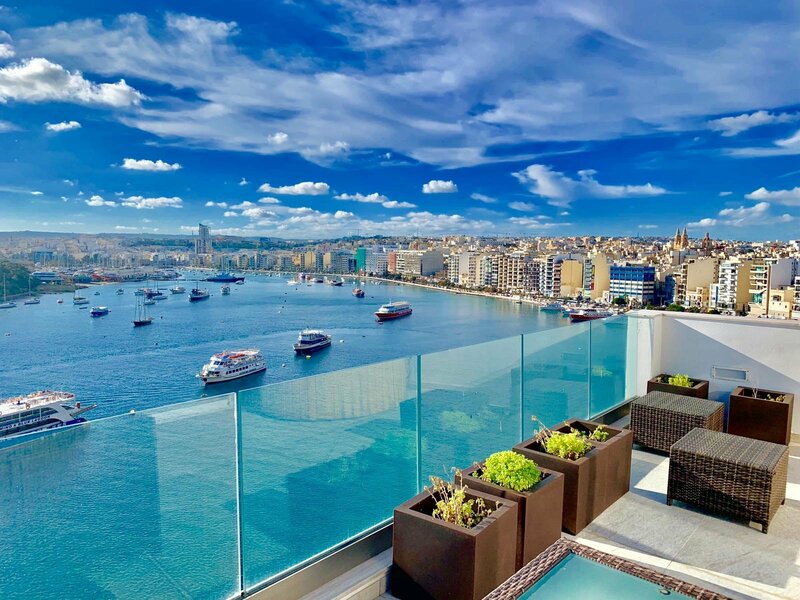 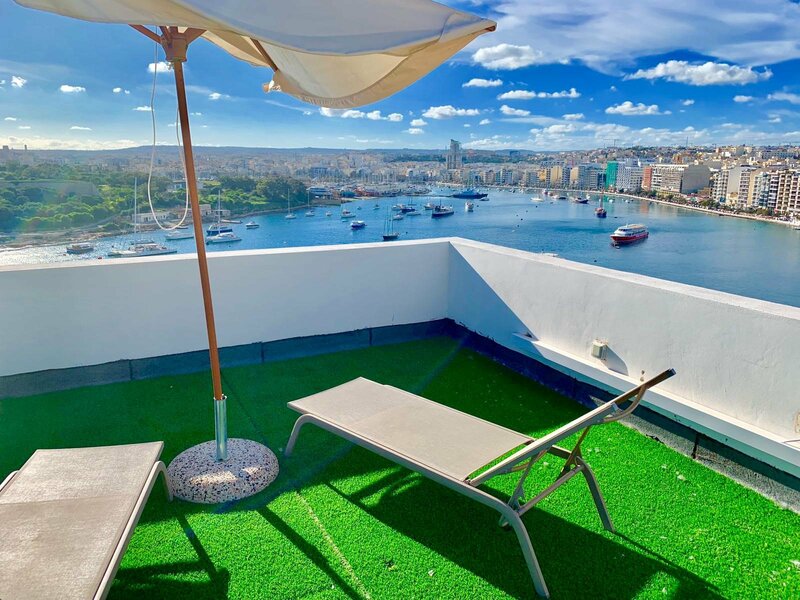 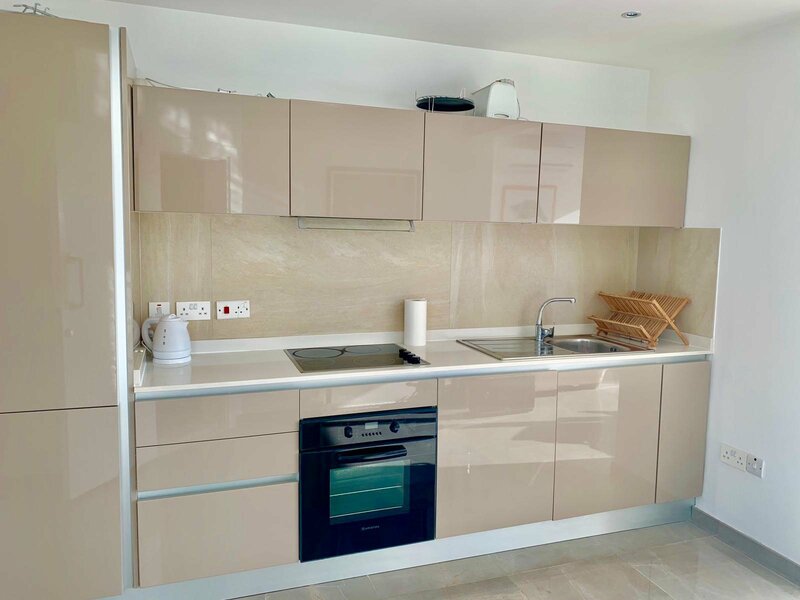 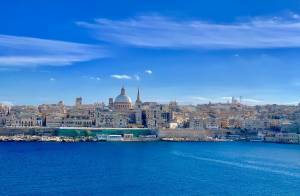 This modern Penthouse on the Tigné Seafront enjoys fantastic views of the Valletta Bastions from its great front and roof terraces.It is close to all amenities including the largest shopping complex on the island. 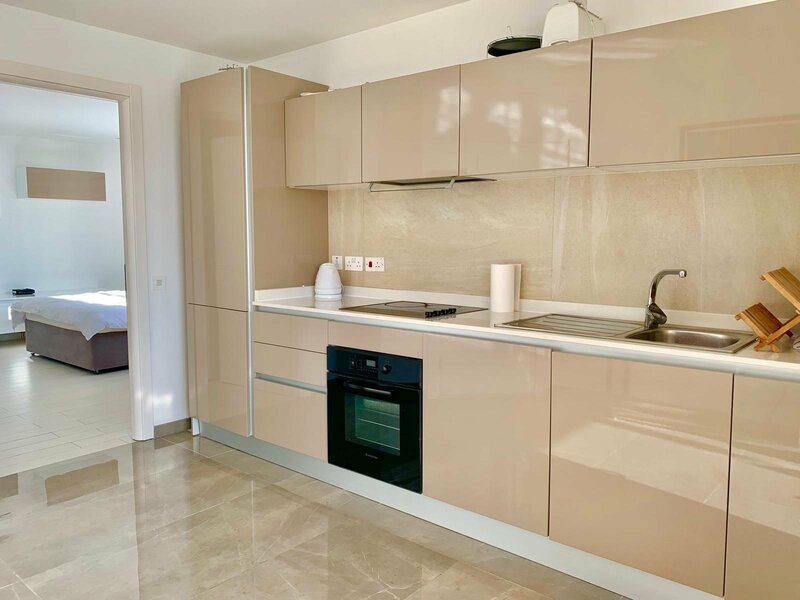 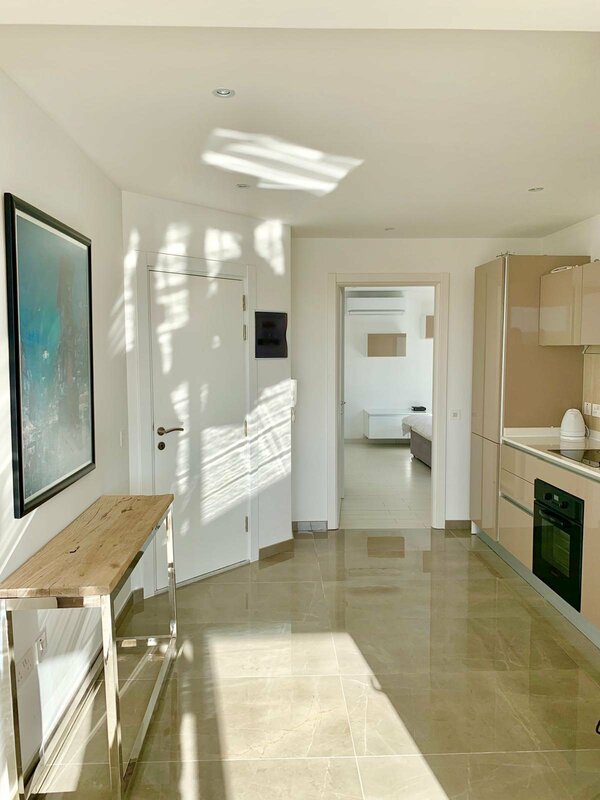 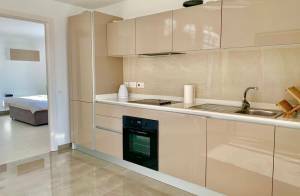 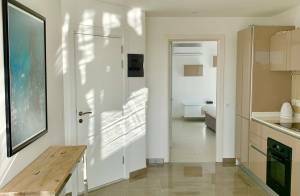 The property comprises one double bedroom en-suite, a guest bathroom, and an open plan living/kitchen area. 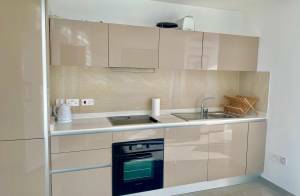 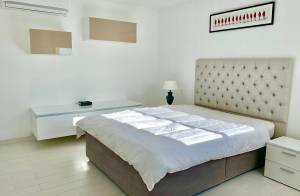 To be rented fully furnished and property has air conditioning throughout. 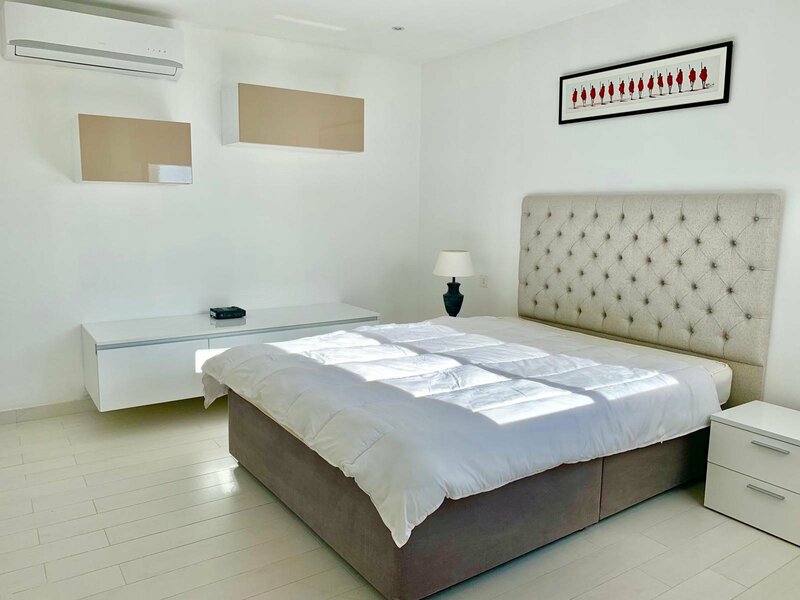 1 parking space is also included in the price.